ProfiPACK is our basic, high standard plastic kit edition. Each ProfiPACK kit contains a complete plastic model kit with additional items for various subvariants, photoetched sets Eduard masks and a large decal sheet covering four to six markings options with stencils. 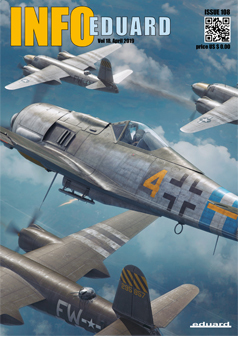 The ProfiPACK kits are produced in 1/48, 1/72, 1/144 and 1/32 scales. This line is easily recognizable with its orange accented box, and with more recent releases, the addition of the ProfiPACK logo. The older ProfiPACK kits had a black box and also carried the ProfiPACK name. ProfiPACK kits are designed for all moderately experienced modelers.